I love metal filigree stampings; their intricate patterns and designs, the variety of shapes and sizes available and their vintage style give them timeless appeal. 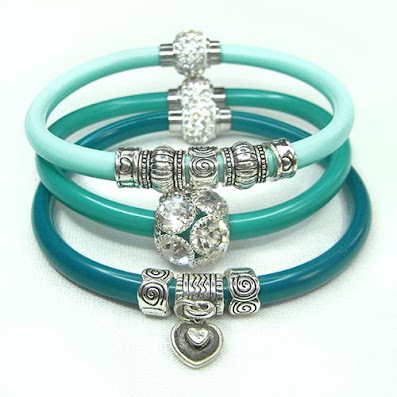 I'm always on the lookout for new ones to add to my collection because they offer such a diverse range of looks to your jewellery. They can be both vintage as well as strikingly modern. And no longer are they just available in brass; they now come in a range of different coloured metals as well as bright enamels - it's no wonder I love them so much! 1. 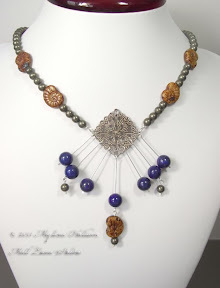 Use a filigree as the focal in a necklace and then attach dangles through the open lace edges. 2. Use them as connectors. Just thread them onto an interchangeable earring finding . 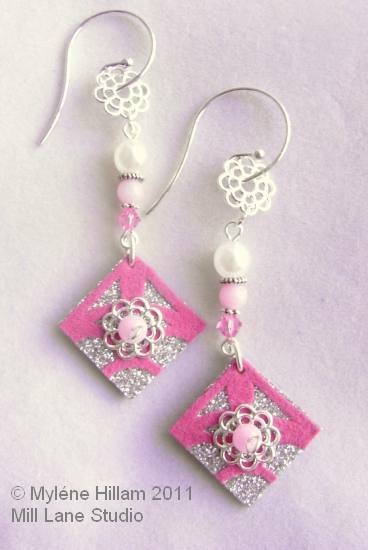 You could make a few different dangles and change them up for a new look each day. 3. Try bending a filigree into the shape of a ring using a ring mandrel. 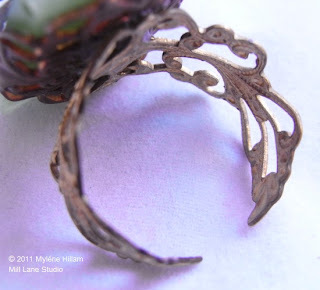 If the filigree is soft enough you might be able to bend it around with your fingers. 4. 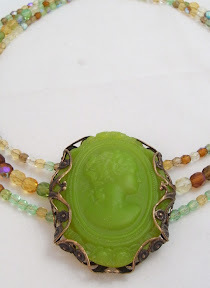 Wrap a filigree around a cabochon to add some lacy detail to the design. It will hold the cabochon firmly in place. 5. Use it to thread your stringing materials through. This is a good way to minimise bulk on the back of the pendant and minimise the number of crimps required. 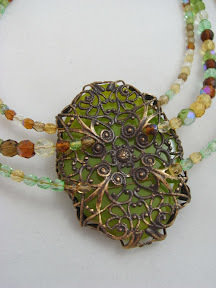 Use the strongest beading wire you can so the filigree won't cut through the wire with wear. 6. Glue on some crystals to give the filigree some bling. 7. 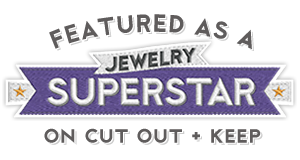 Attach to the front of a cabochon to create a decorative element and add interest. Use resin or E6000 as the adhesive. 8. 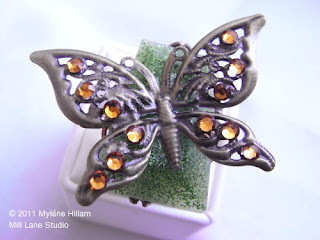 Turn a filigree into a bezel or a frame. Select a filigree which is just slightly larger than the piece you want it to cradle and use an adhesive on the back to secure it firmly in place. Once dry, fold the edges up and around the side to create a lacey bezel. 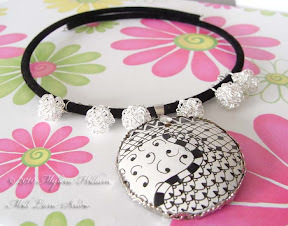 There are so many other things you can do with filigree stampings but that will have to wait for another day. 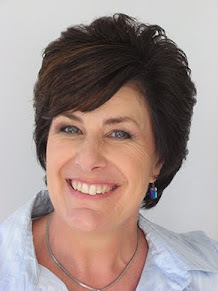 This is a helpful post ~ thank you! I haven't tried filigrees before but may do so soon after seeing these ideas. 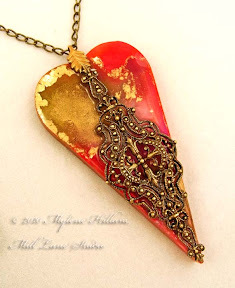 Love the heart pendant in #7 and the zentangle in #8! I'm pleased you've found it useful Di. Filigrees are very versatile and can give you such a variety of looks. BTW, I really love the heart too!